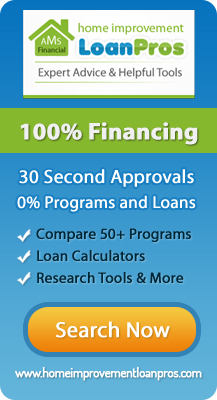 Call 1-600-286-5959 now to obtain skilled Lawrence handyman services through Pann Home Services And Remodeling. We maintain headquarters at 126 Inman St in Cambridge Massachusetts (in the 02139 zip code area). 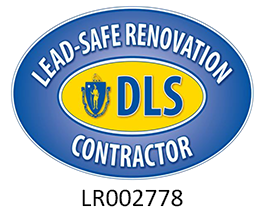 Our company serves customers throughout the Greater Boston area. If you require assistance from a qualified handyman in Lawrence, we offer fast, dependable service. Today, homeowners in this area sometimes discover problems with a home, yard, floor, roof or deck requiring a handyman’s attention. We offer a complete range of remodeling handyman services, including Lawrence drywall repair and skilled plastering services. Whether your dwelling requires plastering, door installation, gutter repair or roof repair in Lawrence, call us! We’ll respond quickly to your request for our assistance. Many residents of this area lack the available free time to perform necessary handyman tasks, such as gutter cleaning and gutter repair. Call us to obtain these services quickly at competitive prices. For instance, does your backyard fence tilt or appear unstable? We offer qualified Lawrence fence repair. Ask our handymen to perform fence sanding and staining, too. We’ll work on storage sheds, gazebos and other backyard features, as well. If these structures require texturing assistance or repainting, we provide a great resource! Whether you seek door installation or roof repair in Lawrence for a backyard shed or a residence, we possess tools and expertise needed to complete these projects efficiently. We also perform texturing, sanding, staining and other tasks involved in Lawrence deck repair. Successful deck restoration benefits from the talents of experienced craftsmen. Ask Pann Home Services And Remodeling to supply skilled carpentry and deck restoration assistance to help revitalize and restore porches and decks. During remodeling, it makes little sense to expend energy on Lawrence drywall repair indoors without also paying attention to these outdoor structures. They significantly impact the curb appeal of real estate. If your deck, patio or outbuildings require Lawrence flooring repair, you’ll want to get in touch with us at 1-600-286-5959. We patch and repair laminate flooring and tile flooring in many structures successfully. By asking us to help fix worn or damaged tile flooring or laminate flooring, you may help extend the useful life of buildings on the property. When it comes to Lawrence handyman services, you can always rely on us here at Pann Home Services and Remodeling.